Notes: Ty made a bunch of I Love Bears, including some for U.S. States. 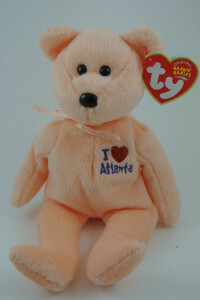 These are hardly ever worth anything and the Atlanta Bear is no exception. On a good day, you might be able to get $5.00 for one.